Small - $56.99 Medium - $56.99 Only 6 left! You wouldn't think that mermaids are up to date on the most viral videos to hit the web, but they are actually some of the most on-point women around. In fact, they are often even ahead of whatever might be trending on Twitter and Facebook currently. They dream up the wittiest hashtags in a matter of seconds to go along with their highly filtered Instagram photos. In fact, their underwater dwelling environments give them a few filters the rest of us probably haven’t even heard about. How precisely they manage to get their iPhones to be so entirely water repellant is a total mystery. We suspect it has something to do with their special brand of thrift shop items in the local hidden grottos. o knew a few mermaid princesses with surface-world fascinations would not only learn so much about parts of our world but then manage to step it up so they can slide right into west and east coast society with ease once they decide to gain and stretch their land legs!? Now you can step into this modern mermaid look by dressing in this two-piece Women’s Hipster Mermaid costume. The spaghetti strap tank top has a shark-bite style hem where it's shorter in the front and longer in the back, so you'll be revealing some midriff just like you were used to in the water, and the purple seashell print will give you the same underwater home comforts. 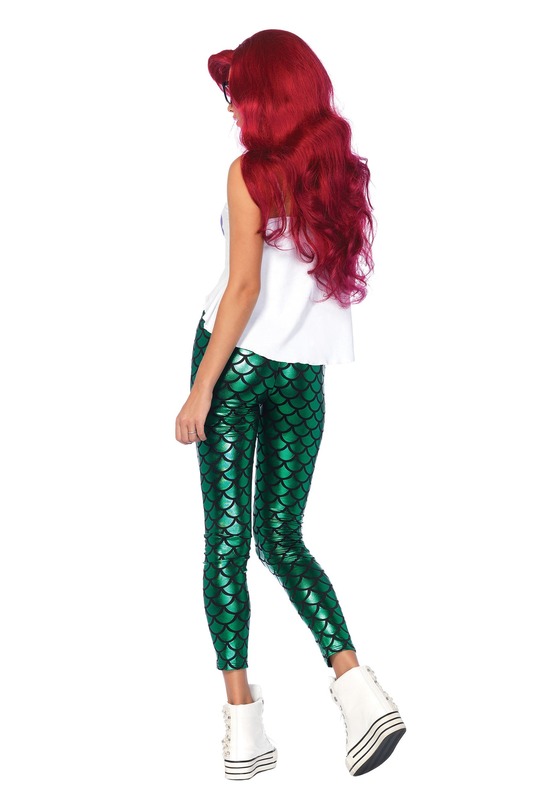 The metallic green leggings have an elastic waistband so they're comfortable to wear for long periods of time. Black scallop shapes are printed on the leggings to look like scales on a mermaid's tail, just in case you get sea-home-sick. 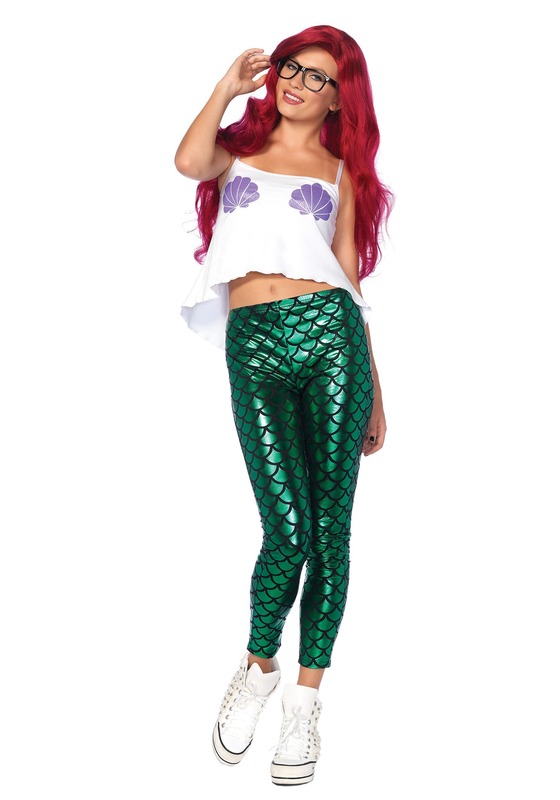 Top off this hipster mermaid costume with a pair of black framed glasses which really is the finishing touch on this look. We recommend wearing a long red wig and some high-top sneakers to set this costume off. Show off this costume at the beach, the next big party, or at one of your part-time DJ'ing gigs!